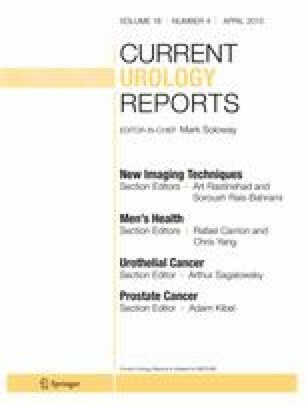 Cystectomy and urinary diversion have high morbidity, and strategies to reduce complications are of utmost importance. Epidural analgesia and optimized fluid management are considered key factors contributing to successful enhanced recovery after surgery. In colorectal surgery, there is strong evidence that an intraoperative fluid management aiming for a postoperative zero fluid balance results in lower morbidity including a faster return of bowel function. Recently, a randomized clinical trial focusing on radical cystectomy demonstrated that a restrictive intraoperative hydration combined with a concomitant administration of norepinephrine reduced intraoperative blood loss, the need for blood transfusion and morbidity. The purpose of this review is to highlight specific anesthesiological aspects which have been shown to improve outcome after RC with urinary diversion. • Thoracic epidural analgesia (TEA) enhances the return of gastrointestinal function, decreases postoperative morbidity, accelerates postoperative recovery and allows less or no systemic opioid administration. • Administer a preemptive norepinephrine infusion with a starting dose of 2 μg/kg/h to counteract the vasodilative side-effects of anesthetics/analgesics, thus averting any detrimental effect of impaired tissue oxygenation due to a restrictive fluid regimen. • Perioperative intravenous fluid should replace the minor physiological losses (0.5–1 ml/kg/h) and the blood loss. Fluid loss to a third space is negligible. • Avoid postoperative weight gain which is a reliable marker of fluid overload. Fluid overload results in alterations in the endothelial glycocalyx resulting in fluid shift toward the interstitium, causing increased postoperative morbidity. • Decreased urinary output is physiological during major surgery and not a surrogate parameter for hypovolemia alone or renal dysfunction. • Avoid the use of colloids because they diminish coagulation function, increase intraoperative blood loss, and may be nephrotoxic. Each declare no potential conflicts of interest.